Newspaper Aftenposten reported over the weekend that Astrup, known for protecting his privacy and nurturing a near-mythical reputation, wants to support cultural ventures and especially his vast collection of Norwegian and international art now managed by the Astrup Fearnley Museum. The museum re-opened in a spectacular waterfront location at Tjuvholmen in Oslo last year amidst royalty and massive media coverage. While its now 74-year-old benefactor Astrup himself has carefully avoided the media his entire life, he decided to talk to Aftenposten about his new foundation, Stiftelsen Astrup Fearnley. Astrup, who is often referred to as a “bachelor” with no children, called the move a show of support for both the museum he founded and still leads, and for his employees. The idea is to keep his empire intact and guided by an ideal that will continue to make his art accessible to the public. That’s important, at a time when public support of cultural ventures is always under the threat of budget cuts. The Astrup Fearnley Museum has never had any state support and was not included in next year’s state budget, despite its first-ever request for state aid (NOK 7 million) earlier this year. Astrup’s new foundation, according to Kvaran, provides a sense of security that many private museums don’t have, and is a boon to contemporary artists and the art world as well. While the museum attracted around 175,000 visitors this year, they don’t generate enough income to cover operations, acquisitions and development. Astrup’s fortune, which business magazine Kapital has estimated to be worth nearly NOK 5 billion (nearly USD 1 billion), is rooted in his family’s shipping and real estate interests. 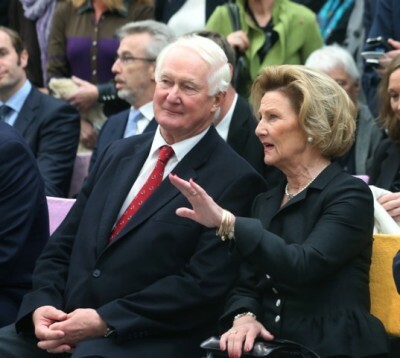 The family, which can be traced back to the 1400s, is as near one can come to nobility in Norway, with close ties to the royal family (Astrup is a good friend of King Harald V) and vast landholdings. 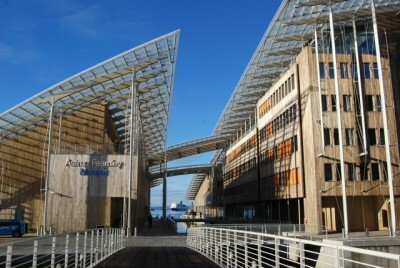 Now the shipbroking and finance firm that Astrup inherited and developed, Astrup Fearnley AS, will be transferred along with all its subsidiaries to the foundation along with the museum, Norway’s largest private wilderness area Meraker Brug, with 1.3 million mål (more than 400,000 acres) in Meråker, Malvik, Stjørdal and Steinkjer, and most of Astrup’s considerable art collection. Other Astrup holdings include more real estate, much of it historic properties, along with wildlife research and dog breeding ventures. Astrup is an avid grouse (rype) hunter and sports fisherman. The shipbroking firm that Astrup inherited in 1972, when his late older brother Nils Jørgen inherited the Fearnley & Eger shipowning firm that eventually went bankrupt, is a successful operation with around 300 employees worldwide who work with vessel sales and chartering, financial services, investment management and oil and offshore deals. Astrup owns 100 percent of Astrup Fearnley’s stock either directly or through his wholly owned company, Vergjedalsbruket AS. Now nearly all those shares will be transferred to the foundation, the goal of which is to “support cultural ventures, especially the Astrup Fearnley collection” in the public interest. The foundation was unveiled just weeks after self-made hotel and real estate tycoon Olav Thon also announced plans to turn over his entire fortune to a foundation aimed at keeping his companies intact and donating at least NOK 50 million per year to research and community projects. Thon’s foundation met criticism over claims it also could result in tax savings, and Astrup’s brother Nils Jørgen went to jail after the Fearnley & Eger bankruptcy when he was found guilty of fraud in connection with another Astrup family-related foundation. Hans Rasmus Astrup’s move, however, was welcomed by the new government’s minister of culture, Thorhild Widvey.